From the Dandelion Roundabout on the ring road take the exit onto Corporation Street B4114 heading towards Tuttle Hill. 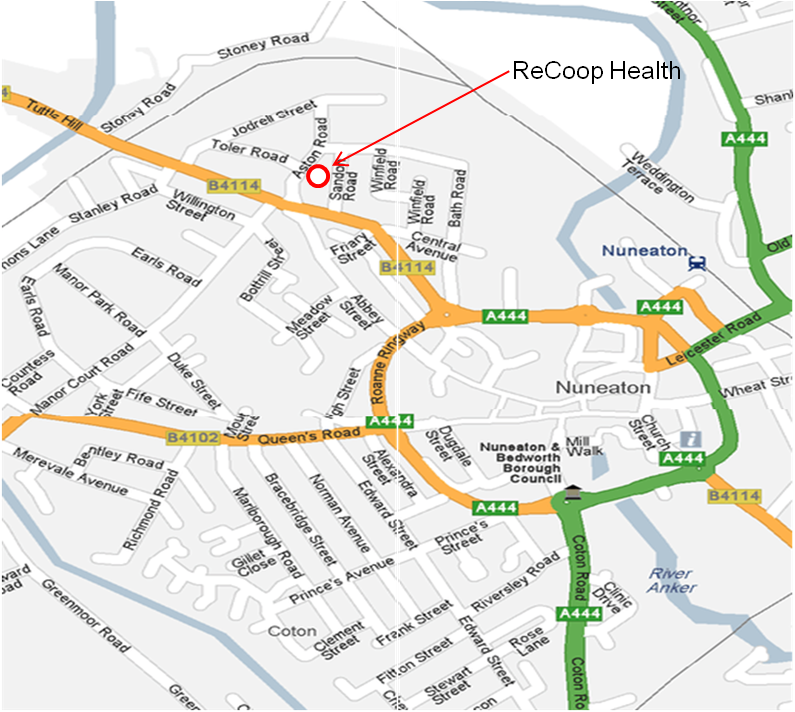 Take the 2nd right, Sandon Road by the Cooperative Funeral Services. Turn left at the end of Sandon Road and then left again onto Aston Road and follow a few hundred yards. 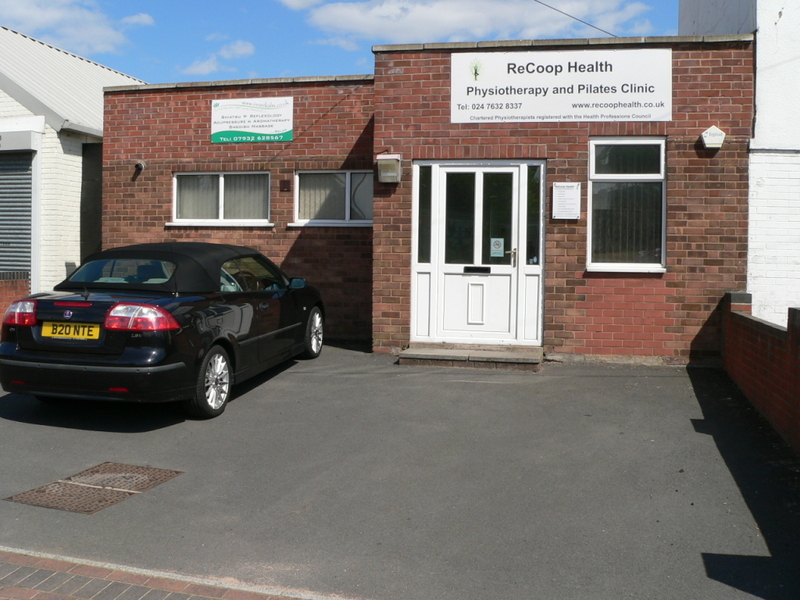 The Chiropractic Clinic is on your left at Recoop Health opposite Abbey Green school. From Tuttle Hill come down towards the town centre. Take the first left after the traffic lights BEFORE Frank Parker Butchers. The Chiropractic Clinic is next to Karpet Kingdom on the right.